Which comes first – Chicken or Egg? 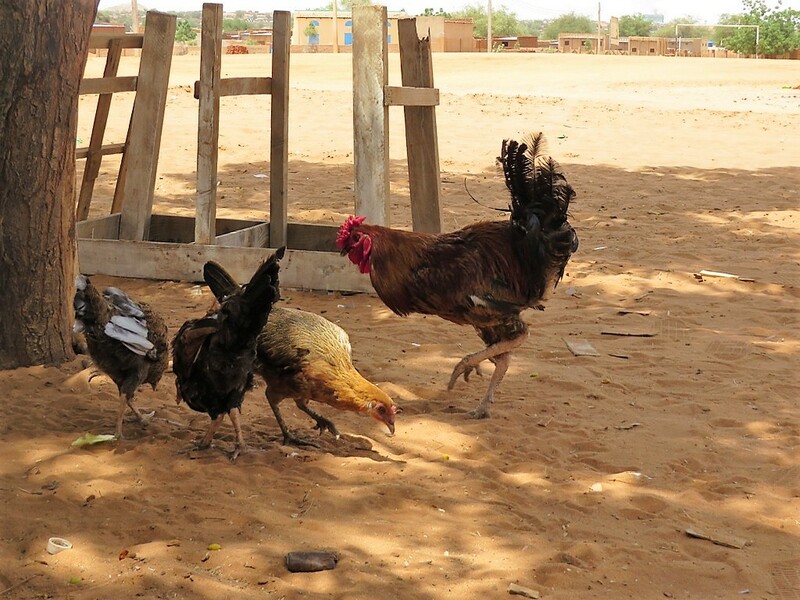 In Darfur, chickens come first – easy to look after, and their eggs are an essential source of protein. Grandparents in Darfur are frail and getting weaker. Please give a chicken, not an egg this Easter. 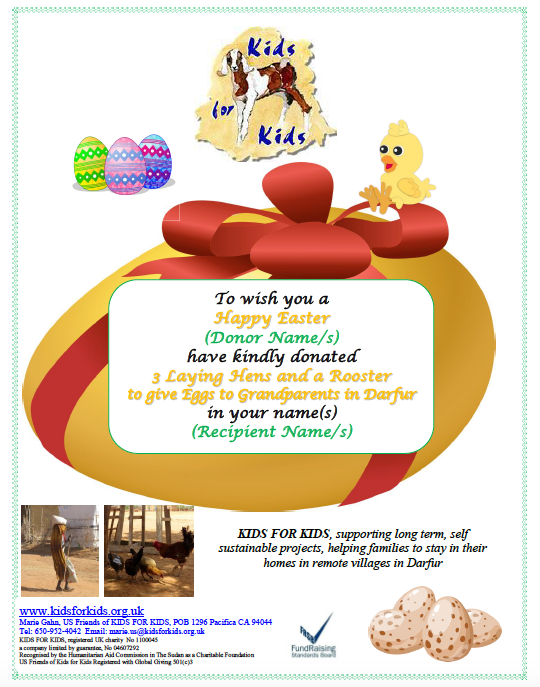 Donate chickens for a Grandparent in Darfur, and send a Special Edition Easter Gift Certificate – so much healthier than chocolate! £15 / $20 provides 3 laying hens and a cockerel for a family in Darfur. Their nutritious eggs really are a life saver. To order your Gift Certificate please send us the details in the ‘Order Notes’ box as you place the order, or email us at contact@kidsforkids.org.uk with your order reference number. What we need: Donor Name (As you wish it to appear on the certificate), Recipient Name (as you wish it to appear on the certificate), Occasion (Easter! ), and the address or email address that you would like us to send it to. Life is unimaginably hard for grandparents in Darfur. Often they have lost their children, and many have their orphaned grandchildren to look after too. Life is tough in a community where everyone eats what they grow and the harvests have been poor. If there is no extended family to help, older people struggle to forage for food, many become weak with hunger and will starve if their neighbours cannot help them. Kids for Kids’s new Chickens Project is a lifeline! As you may know, we piloted the idea of providing chickens to grandparents, and the feedback was amazing. With your help were able to provide three healthy chickens and a cockerel to help frail and elderly people. The difference it made to have eggs to eat, from chickens that are easy to look after, was incredible.